“How to charm, surprise and thrill your e-commerce customers using Visual Search and Artificial Intelligence”. 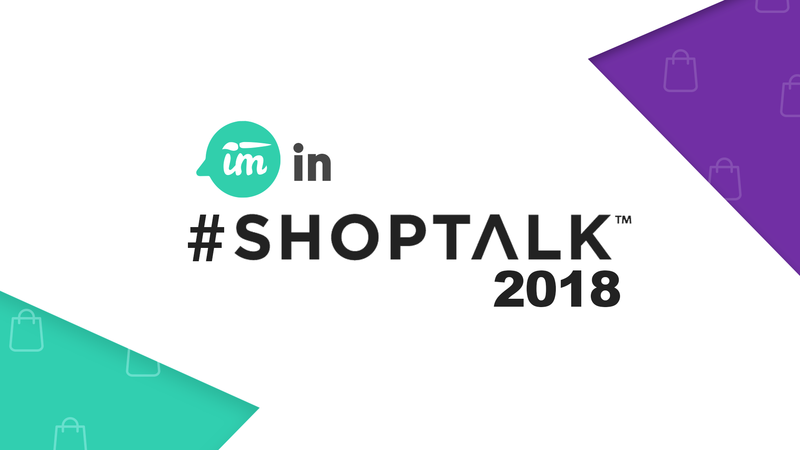 Techtalk presentation at #Shoptalk2018. Join us on Monday 19 at 6:00 PM. Artificial Intelligence is not only about math and science. In this talk, we want to show you how different AI-based techniques can be used to improve online customer experience. In particular, we want to focus on the case of computer vision. Nowadays, e-commerce is mostly driven by text. This means that their users search and navigate inside the platforms by using words to describe what they are looking for. What we want to show you today is how you can enhance your e-commerce by including computer vision based solutions in them. When people think about computer vision they usually imagine something like this. When, the truth, is that it is closer to this. In simple words, computer vision consists of finding techniques that allow us to give machines the ability to interpret images just like humans do. Now, you may ask yourselves, why would computer vision enhance my e-commerce? Well, there are several reasons. First, images are the most primal way of communication between human beings. So, of course, it would be awesome if machines could communicate with us in such a natural way. Second, sometimes it can be very hard to express all the things we are thinking about using only text. For example, I’m thinking about a floral dress. Now, I want you to imagine a dress as similar as possible as the one I have in mind. Difficult, right? So, let’s search for it in Google images. As you can see many options appear. Probably, some of them look similar to what you had in mind. But, the one I was looking for looks like this. What if I had given you the image in the first place? it would have been way easier to imagine a similar one, right? The same concept can be applied to your e-commerce. By including an Image-based search system you can help your customers find what they are looking for by, actually, showing you what they want. There are some other utilities useful to an e-commerce. One of these is auto-tagging. Auto-tagging means automatically extracting products’ attributes by analyzing their image. This could be used, for example, in gardening. In particular, in the diagnosis and product recommendation for plant diseases. Computer vision also allows you to make your customers active participants in the purchasing process. Allow your customers to use their creativity to express what they are looking for through simple sketches. They don’t have to artists!. Not only will their searching experience be better, but you will also get an insight of what they want your products to look like. Finding through sketches excites people. It surprises them to see that the system can understand their drawings. It is almost as if it could read their minds! Take advantage of this excitement by adding a search sharing system in which your users will be able to share the drawings they make, and the results they obtain with each of them, in any social network. With this, they will go from clients to recommenders! Changing the focus from “What are my clients looking for?” to “Why are my clients looking for that product?”. This application, specially thought for home and design, allows your client to take a picture of a room where they want to place a specific product and then draw what they want on top of it. Not only will they find exactly what they need, but it will also follow the style of the room. Take a similar concept to the context of fashion and let your clients become the fashion designers they have always dreamt to be. Allow them to pick a photo of an item and draw modifications on top of it. They’ll be searching for a product that looks exactly the way they want! And if they do not have a base photo to start from letting them start fresh by designing exactly the garment they want including color and desired textures. With this, you will gain important information about what your clients want! To conclude, Computer vision has enormous potential to enhance any e-commerce. It can be from the addition of a visual search system, that is via photo or sketch. By adding an auto-tagging system which can be used in certain circumstances to recommend products. Even by adding a clothes design module! The truth is that the possibilities are almost unlimited. You just need to try them and see which one better fits your needs. At Impresee we're revolutionizing the way people engage with online stores. Our blog is about technology, artificial intelligence, e-commerce and more!